This function allows the administrator to create sub-menu items on their website. Menu Option: Creates a sub-menu under a Category. This type of item would usually be used to link to an external website. 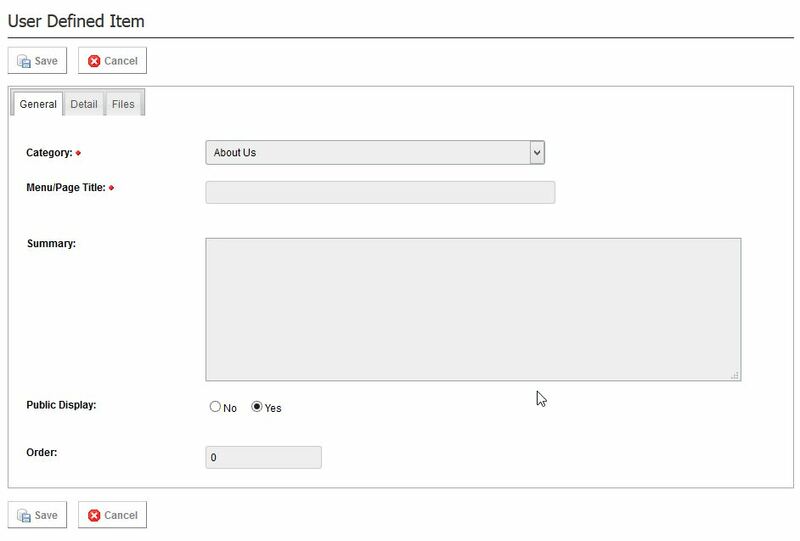 Custom Page: Creates a sub-menu under a Category. 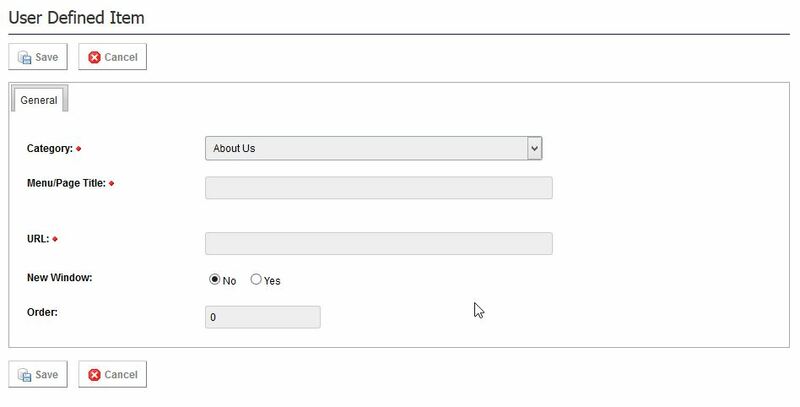 This option allows for a custom page to be created by the administrator.